● PlatinumTel Wireless sometimes runs promotions on its website, like offering a free phone when you choose an Unlimited Everything plan. ● Unlimited plans are renewed every 30 days. You must have enough money in your account to cover the charge or the service will be interrupted. ● Text messaging is free to international numbers with the Unlimited Everything plans. ● To place an international call, you must have a cash balance in your account. ● There is no additional fee for long distance or on-network roaming calls. 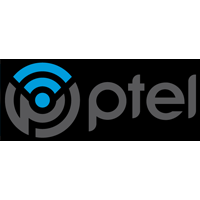 Ptel is a phone company with a variety of products to purchase, in addition to a wide range of no-contract plans to consider. You can visit this site to learn more about the various phones that are available through this site, including products from some of the most well-known companies in the industry. From there, you can choose from amongst a wide variety of coverage possibilities, in order to find something that is right for you. Each plan is designed around the kind of data you are going to want, as well as what kind of network you are ultimately going to want. Direct international calling is also available through this company. For most up to date offers check out Ptel on Facebook and Twitter or contact Ptel Support for any questions.